česky | english Because it is a common practice of every responsible handgun owner to regularly practice - or to take part in various shooting competitions, like LOS (Popular Defensive Shooting), IDPA etc. – we would like to offer condition trainings of MujGLOCK to whole shooter’s community. Training starts at 7:00 PM, every second Friday in month. These trainings could be held more often in case of major interest. We kindly ask all applicants to come at least 20 minutes in advance. 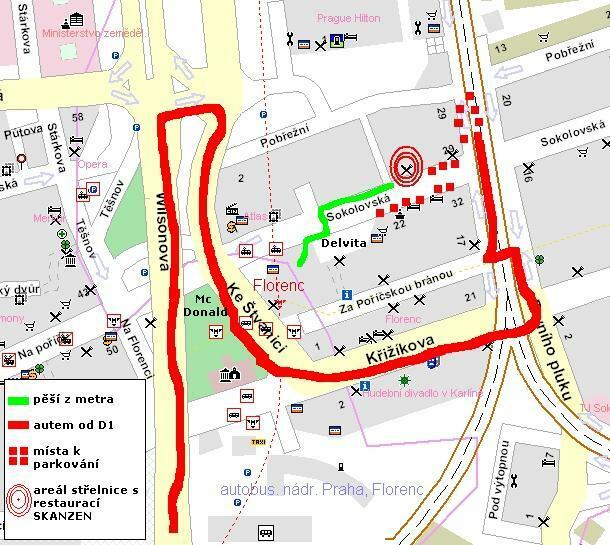 Shooting range is situated close to Florenc underground station (map here). It could be reached easily by tube and short walk, or simply by car (parking available). Safety routines – finger outside of trigger guard, movements with gun etc. And other – any thoughts are welcomed! The price includes shooting range hire and targets with seals. Bring your own hearing and vision protection – or you borrow some here for money. Any rule break will be punished by immediate expulsion of violator from training without compensation. All shooters participates the training at one’s own expense and risk and are fully responsible for all harms and sufferings done. You can load your gun only when directed by training leader, in firing position only. You can buy drinks at shooting range, or visit nearby restaurant (in the same building).